There are several popular individuals who have extensively frustrated their fans’ interest to know a thing or two about them and, Miniminter is one of those guys. 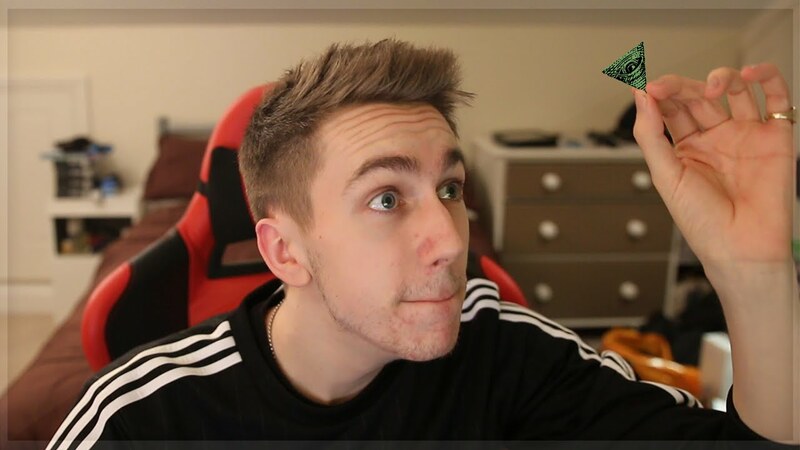 Irrespective of the fact that he has increasingly earned the admiration of people across the globe and has become incredibly famous for his vlogging endeavours, Miniminter has consistently evaded giving a satisfactory detail of his background and the things that are to be known about him. Ask him to talk about himself, he will most likely only state that he makes FIFA videos and vlogs. Insist on further details and the chap young chap would maintain that there is nothing much else to know about him. This is not true, there’s actually a lot of things to know about Miniminter and we are here to tell his tale as much as we can. Let’s start with his biography and gradually progress to other facts and details of his life. First and foremost, let’s establish that Miniminter is a name derived from the vlogger’s surname – Minter. His real moniker is Simon Edward Minter. The YouTube star from England is famous for his FIFA videos and has attained the celebrity status with other members of the Sidemen, a group of seven British vlogging friends who became famous for playing video games. Since Miniminter’s rise to fame, it has often been wondered how old he is. Well, we have been able to gather that he was born on the 7th day of September 1992. Records have it that the YouTube personality’s place of birth is Hemel Hempstead, a town located in the northwest of London, England. When it was time to acquire formal education, Miniminter became a student of a private school, Berkhamsted. It is said that it was in the school that he met his bosom friend, KSI – a member of the Sidemen group. From what we learnt, Miniminter’s ordinary academic performance made it impossible for him to obtain the right A Level results which would see him further his education at a higher institution of his choice. He took a brief break from his academic pursuit but eventually returned to study criminology at a public university in England – University of Hall. This endeavour, however, wouldn’t be completed. Simon abandoned his studies just three months into it. What happened? He wasn’t cut out for the things he was being taught. Besides, he had just met another member of the Sidemen group TBJZL and, the activities surrounding their meeting gave Simon the courage to forsake education and become a vlogger. This marked the birth of Miniminter. It wasn’t long before he posted his first FIFA video. That was sometime in December 2012; the rest is history. He has been consistent as a vlogger and currently owns two channels, Mimiminter and MM7Games. With the former being the most famous. As of the time of this report, the channel has almost 7 million subscribers and has generated over 2.2 billion views. The other has over 3 million subscribers and over 1.3 billion views. Considering the fact that Miniminter is very much a young man and the reality of him being able to gather an incredible amount of subscribers for his YouTube channels, his fans have always wondered how rich the man is. Owing to this, several estimations have been made with several figures quoted as his net worth. It is common to find that the value of Miniminter’s wealth is between $2.5 million to $5 million. Nevertheless, the fact is that his net worth isn’t known. All the figures stated were only guessed and cannot be authenticated. Widely regarded as the most liked member of the Sidemen, Miniminter is the youngest of his siblings. He has two older brothers, known as Nick and Johnny. Beyond this, much isn’t known about the star’s family. As a result, it was once speculated that Jesse Fangs, another YouTube star who describes herself as the Queen of FIFA is Miniminter’s mom. Fangs had to address this in one of her videos wherein she specified that she isn’t Simon’s mom. Also, it is unknown who Miniminter’s girlfriend is. Nonetheless, rumour has it that he once had a fling with another YouTube star, AshleyMarieeGaming. 5. His fellow members of the Sidemen group include KSI, TBJZL, Vikkstar123, Wroetoshaw, Zerkaa and Behzinga.